All hail El Presidente! 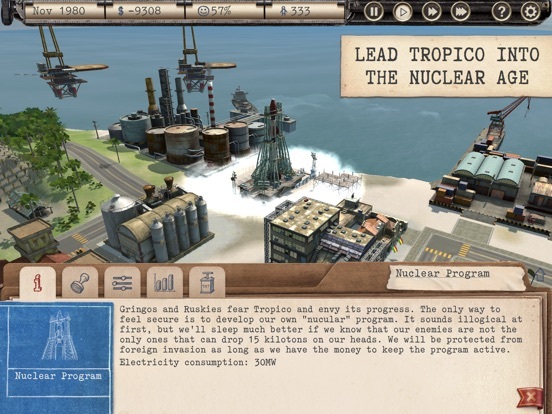 The proud nation of Tropico is now in your hands and badly in need of modernisation! 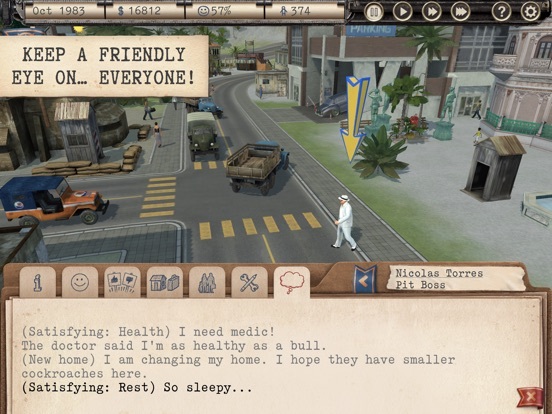 As the freshly elected leader of an underdeveloped Caribbean island with untapped resources and enormous potential, hopes are high that you will deliver Tropico into the glorious future its people deserve. 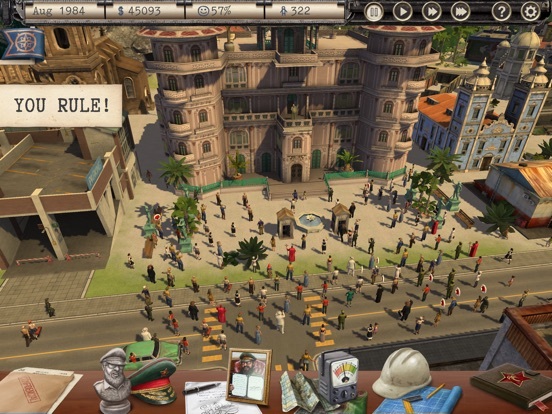 The opportunities are boundless in this humorous city-builder with a political twist. 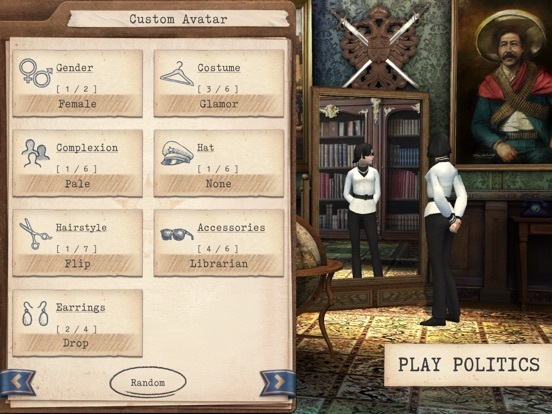 YOU RULE! 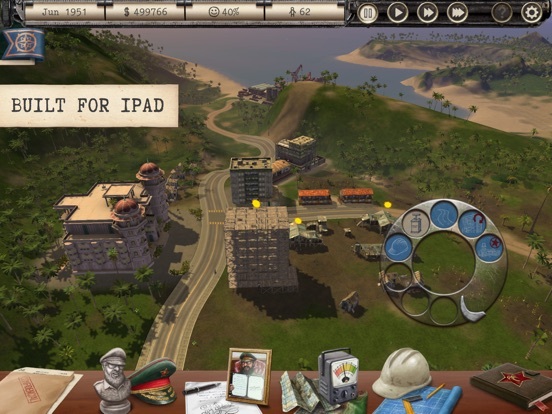 Develop and manage every aspect of Tropico, from its roads, buildings and people, to its military, trade and foreign policies. 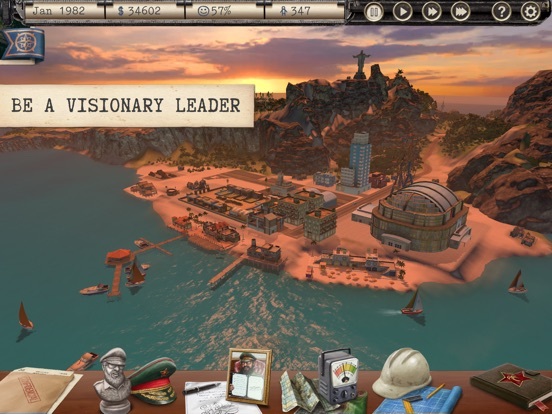 BE A VISIONARY LEADER Transform Tropico into the country you want it to be: a booming tourist paradise, an industrial powerhouse, a police state, or all three! 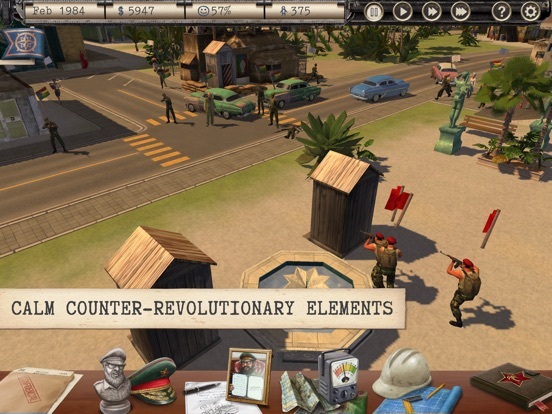 PLAY POLITICS Recount elections, calm unruly elements, manage public opinion and reward your loyal followers… BUILT FOR iPAD Exercise complete control with an intuitive touch interface and gameplay mechanics designed and refined for mobile gaming. 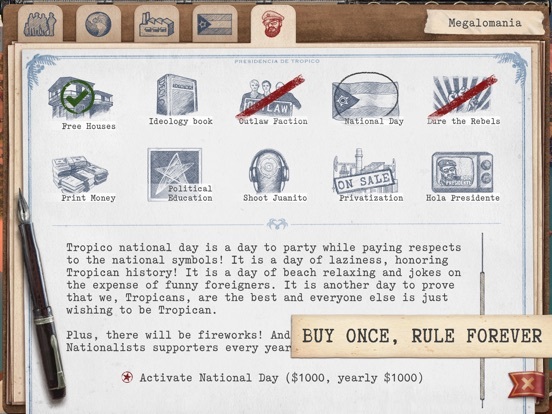 BUY ONCE, RULE FOREVER Get the keys to power with one simple payment and no in-app purchases. This game requires iOS 12 and just under 3GB of space to install. Supported iPads: • iPad (5th generation) • iPad (6th generation) • iPad Pro (1st generation: 9.7", 12.9") • iPad Pro (2nd generation: 10.5", 12.9") • iPad Pro (3rd generation: 11", 12.9") Copyright © 2018 Kalypso Media Group GmbH. 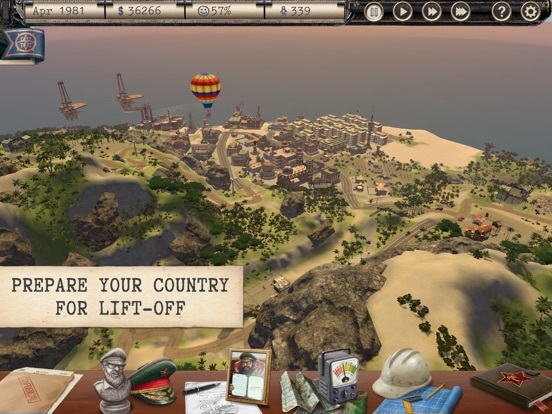 Tropico is a registered trademark of Kalypso Media Group GmbH. All rights reserved. 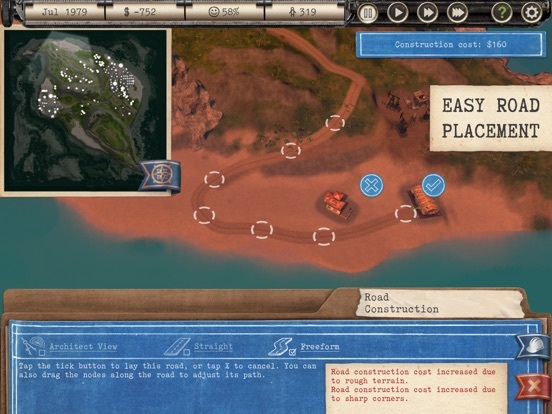 Developed for and published on iPad by Feral Interactive Ltd. Apple, the Apple logo and iPad are trademarks of Apple Inc., registered in the U.S. and other countries. Feral and the Feral logo are trademarks of Feral Interactive Ltd. All other logos, copyrights and trademarks are property of their respective owners. All rights reserved.